Pgh Momtourage: BabyLegs Spring Clearance - 50% off! 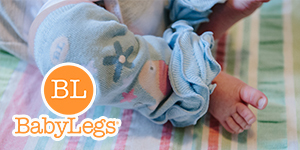 It's time for BabyLegs Spring Clearance! 50% OFF All Spring Styles on the Spring Clearance page! Use code: SPRING13 at checkout for 50% off! Stock up for birthdays & baby showers - these make great gifts! 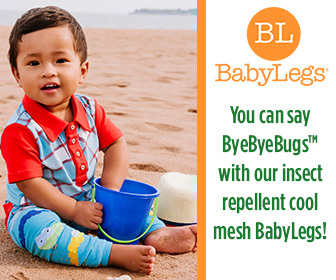 ByeByeBugs protects against disease-carrying insects like mosquitoes, ticks, ants and more! Protection lasts 70 washings, and will keep the bugs at bay all summer long! Made of a cool, breathable mesh, BabyCool! protect your little ones from harmful UV rays with UPF 50+ protection, wet or dry!